So it was just a regular day at work when my boss told me 11 September was gazetted as polling day, so it would be public holiday. 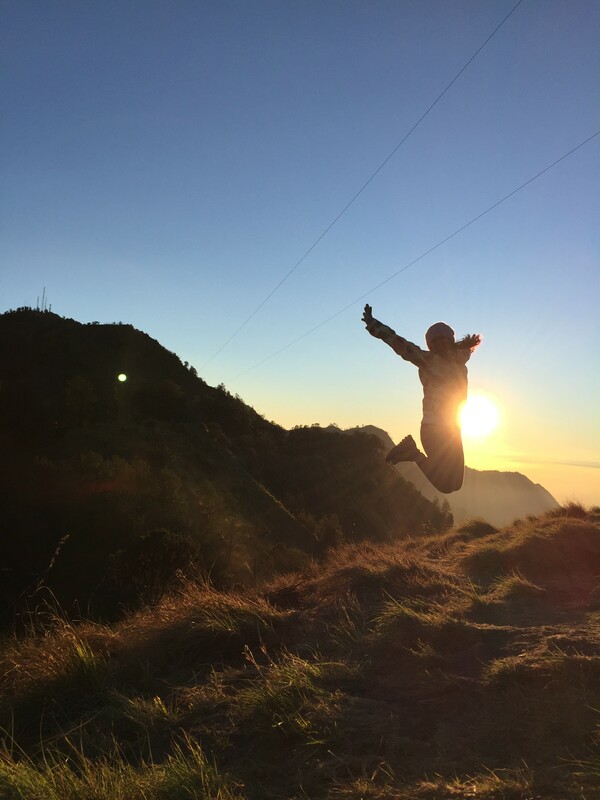 I had a talk with my best buddy, Angel about some possible destinations and we decided to make our long-waited Bromo Plan to be reality. 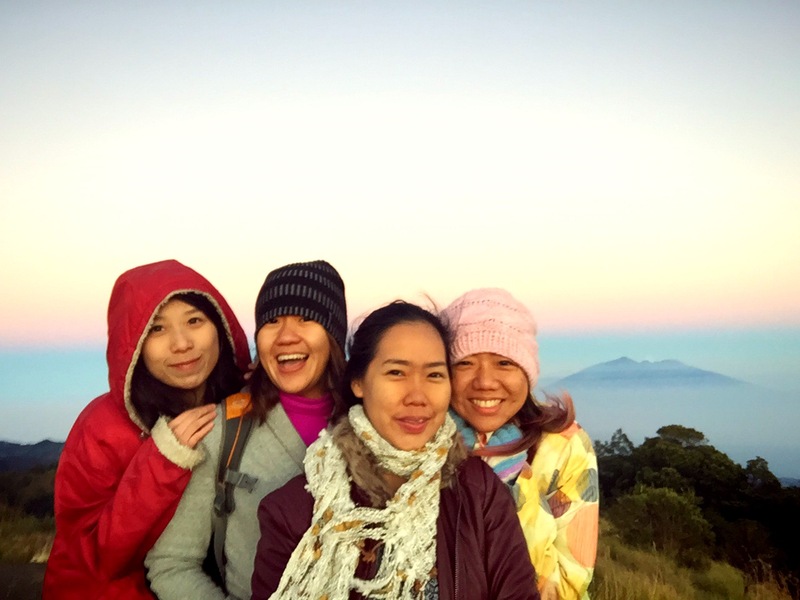 Yep, we talked about going to Bromo hundred of times. This time we really did it. 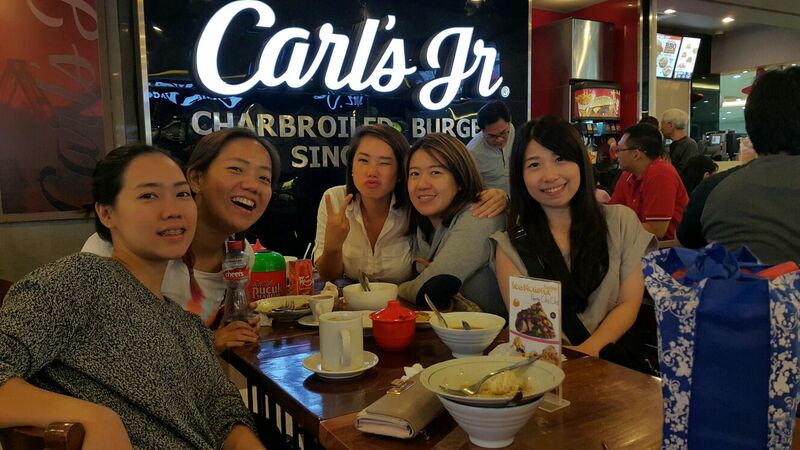 It was even better when Tannia had a flight to Surabaya for her roster (she’s the flight attendant) so we could meet up and sleep at her hotel (Shang FTW) but the dream was crushed when she realized, “guys, I saw the date wrong. I’ll reach Surabaya on the 13th, not 12th.” Arrggh! You have one job, Tannia! One Job! Angel and I flew from Singapore and reached Surabaya in the morning. We went around to Pasar Atom and met Angel’s relative. We did some shopping too and of course we aaaatttteeeee every hour. LOL. Renny and Fenty reached Surabaya in the evening. 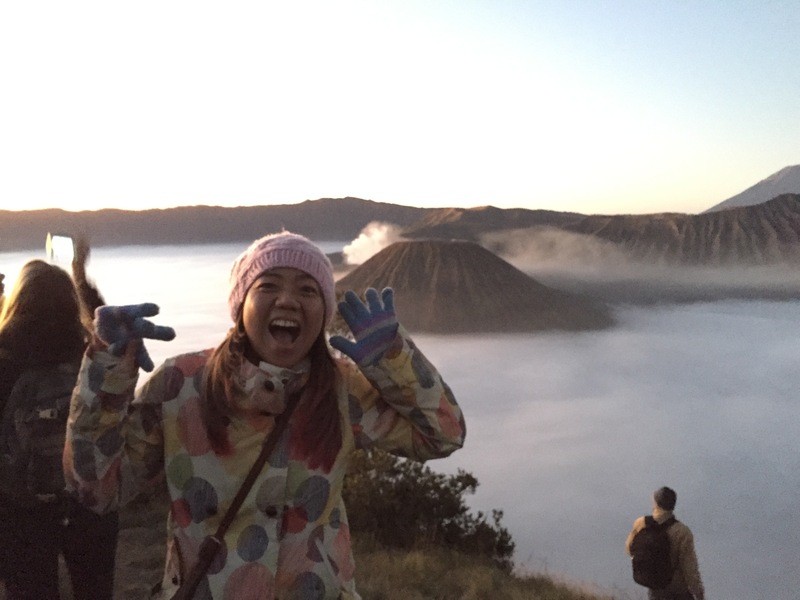 We picked them up from the airport and went straight to Bromo. We rented a car and hired a driver. We were so tired, we all slept in the car on the way to Bromo. We also passed Sidoarjo and saw the high dam built by Ba**rie to keep the mud in the area. But the truth is… What we heard from our driver was the mud kept rising and rising and it’s just about time until it becomes national disaster. It’s so sad :( the mud drowned almost half of the Sidoarjo city. Can you imagine your home is just gone?! Puff! Just like that? 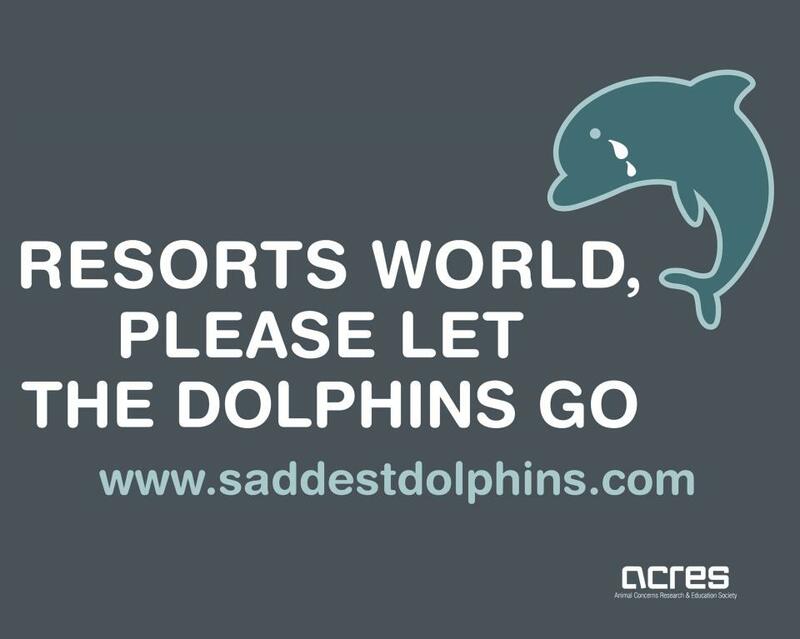 :( sad. We arrived in Bromo around 11:30 at night. It was freeeeeziiinng cold! 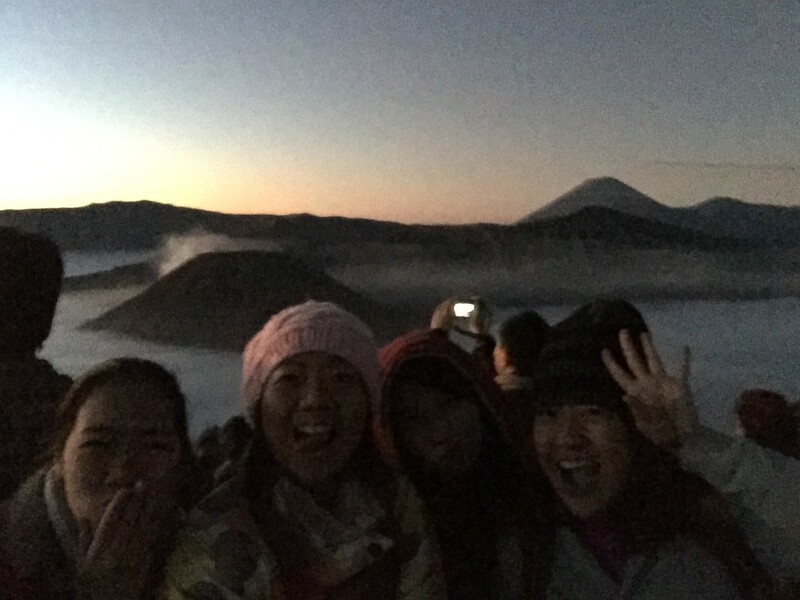 We slept and woke up on 3 am for our Bromo adventure! Our jeep had arrived and we were going to see the sunrise from Penanjakan. I didn’t take a shower of course. Who would do that? 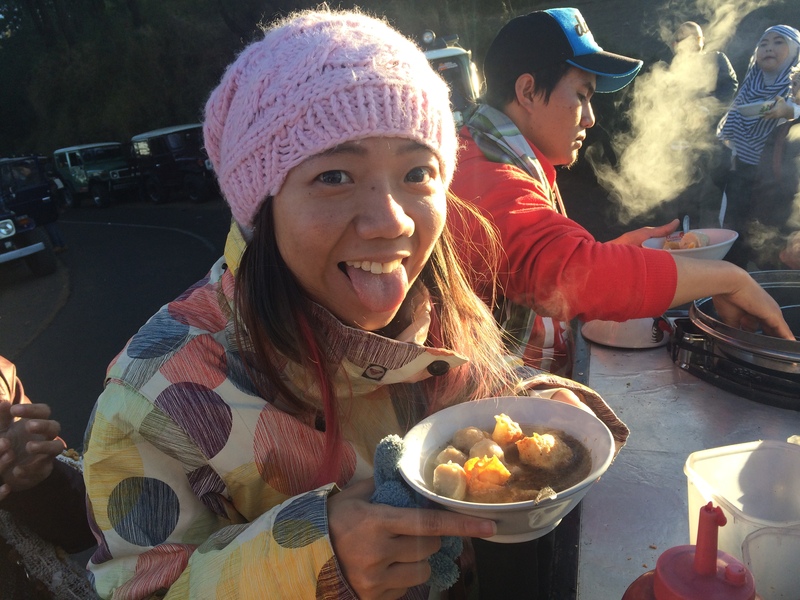 It was super mega freaking cold! I told my friends that I will take a shower in Surabaya when the temperature came back to normal. Lol. The jeep ride was about 30 minutes. We passed the dessert full of sand and we almost couldn’t see anything it was scary. When the jeep stopped near the hill (Penanjakan), the driver told us to go up. It was soooo scary since we couldn’t see anything. Nobody brought torch so we only relied on the people above us. The hike was short and difficult because of the sand, but we made it. The weather was super cold, about 14 degrees, windy which made me even more shivering. The air was thin, it made us a little more difficult to breath. It was dark and quiet at first. Yes, a paint of universe. Such a beautiful dark canvas full of sparkly dots. So cold! Yet so pretty! We went down again and we were sooo cold and hungry. Baso Malang to the rescue! 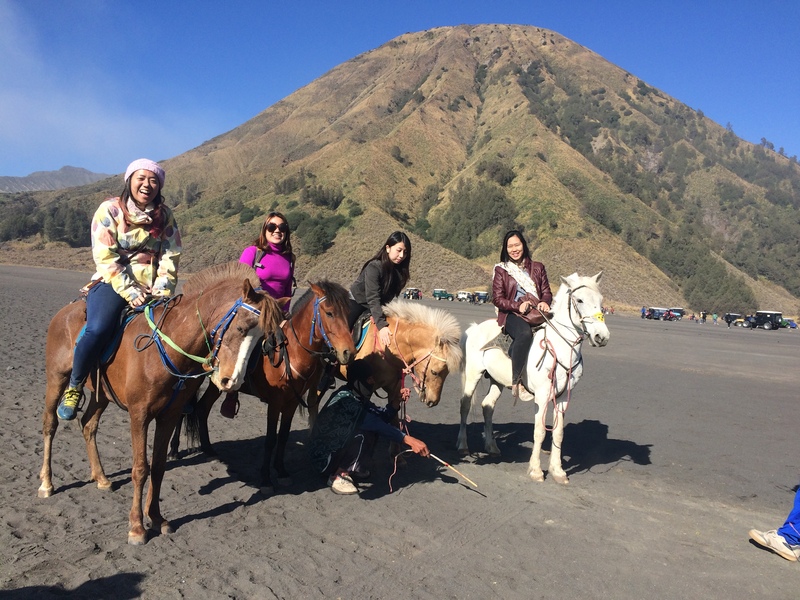 We visited the Bromo crater after that and we rode horses!!! It was so fun!!! 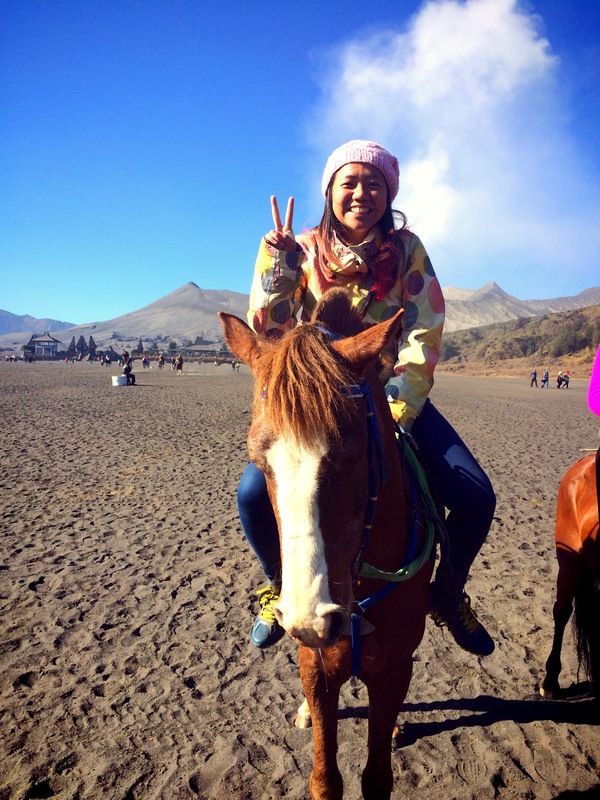 I never rode horse before and it turned out to be fun! I bonded with my horse, Jingo instantly. We made an instant love connection. He was shy and sweet and has very soft mane! I fell in love! We hiked up to see the crater. All of us with our horses. Cutttee! We went back to Surabaya after that and hung out for a while, nothing was special because in my opinion, Surabaya is just like any other big city in Indonesia. Great food, traffic jam, overcrowded malls and hipster cafe. My flight was very early in the morning. Thankfully all of us could wake up on time and we rushed to the airport to meet Tannia! You remember I said she saw the wrong date? She arrived on the day we supposed to leave. But we didn’t wanna miss a chance to finally get back together in a complete set, so here we are! 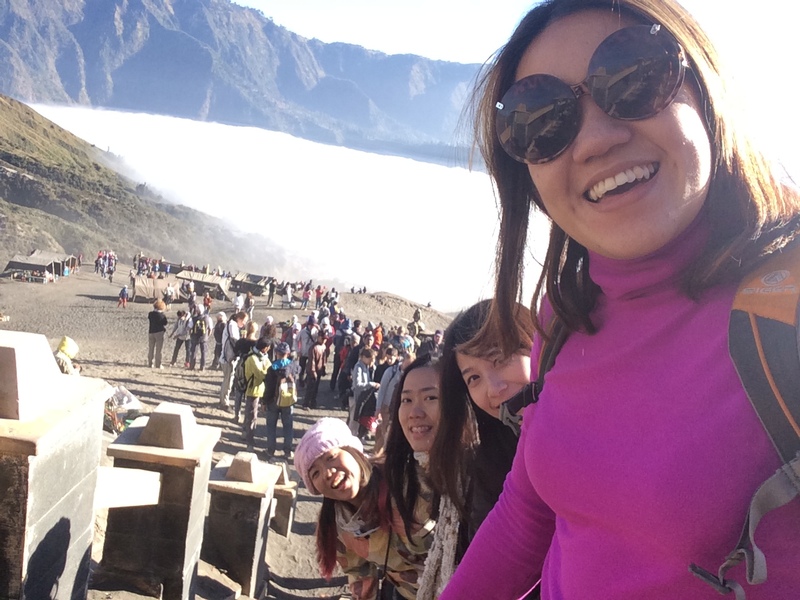 A short trip to Bromo. A sweet and beautiful one. Added to my list of amazing things in my life. Looking forward to more amazing things to come! P.S. I have a great news. Super great news. But it’s too early to tell. I will tell later when it’s time! Kyaa~~! 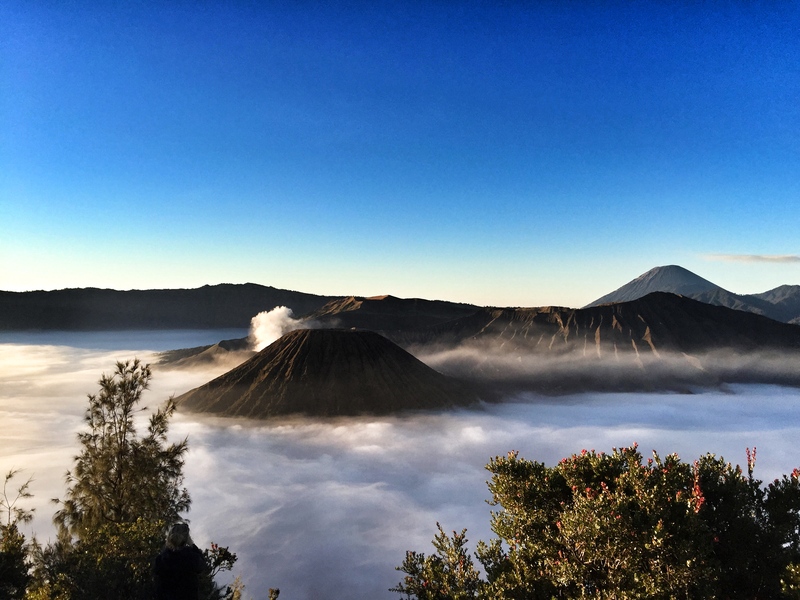 This entry was posted in Travel to Asia and tagged bromo, crater bromo, friendship, how to go to bromo, Indonesia, java, lapindo, Life, mount bromo, road trip, sidoarjo, surabaya, Travel, traveling, trip. Bookmark the permalink. The ladies are looking dangerously cool at that altitude :). Gw pernah dulu banget kesini, iya very thin air sampe gw brasa aga susah napas (apa krn nanjak juga jalannya) . Beautiful picturee! Mungkin sekitar 15-25 menit, tergantung cepat atau nggak nya jalan. Lumayan susah karena pasir semua. Karena perginya bagi2 buta gitu, menurut gue sih mending nggak ajak anak kecil, kecuali mau datang after sunrise, then it’s fine.